Looking for an Official Geocache that is super cool? Buy this kit, build it, hide it, and you've got it! This set of 33 building bricks can be assembled into a great micro mock ammo can that people will love to find. This container uses actual LEGO elements, so can be attached to other LEGO products to add to your hide. The container has an Official Geocache brick to go on the side, a hinged lid and closeable clasp. 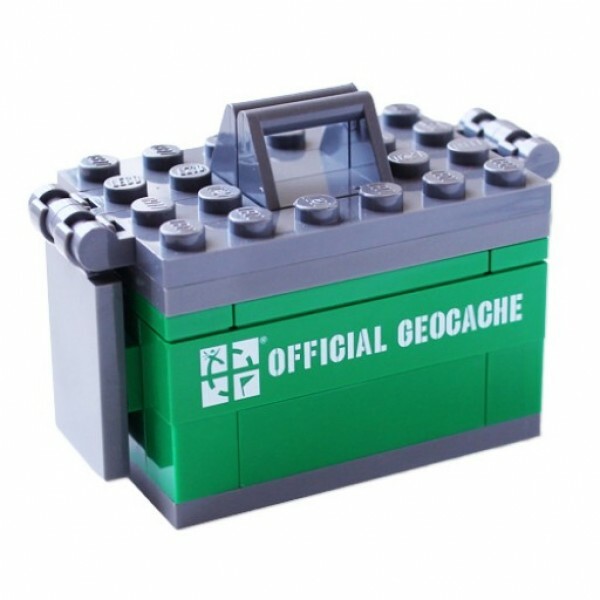 It might be the coolest small geocache on the market today! Please note: This is not a LEGO product. These are re-purposed LEGO elements and other elements that have been repackaged or altered from their original form. LEGO is a trademark of The LEGO Group, which does not sponsor or endorse this product. The LEGO Group is not liable for any loss, injury or damage arising from the use or misuse of this product. All Rights Reserved.